It took me a while to get on board with canned chicken. Now, after some experimenting, we always have canned chicken on had. It is so nice to have to throw together sandwiches, add to pasta, or toss in a quesadilla for a quick protein punch. We still don’t use it all the time but it is perfect for in a pinch and it is perfect for lunch time. 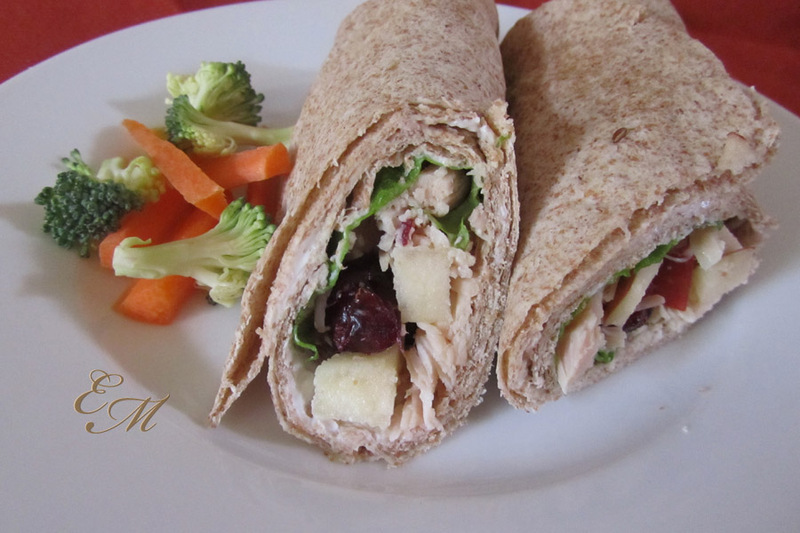 Whole wheat tortilla spread with a think layer of cream cheese then filled with a lettuce, and a mixture of canned chicken, cranberries, and diced gala apples. Kid Friendly Lunches, Coming Right Up!